The Oscars to have 10 Best Picture Nominees. The Motion Picture Academy announced Wednesday that for the first time in more than 65 years, the field of best picture nominees will be expanded to 10 contenders for the 82nd Annual Academy Awards according to Variety. The last time the Oscar race featured 10 best pic contenders was the 16th annual contest in 1943, when “Casablanca” emerged with the top prize. 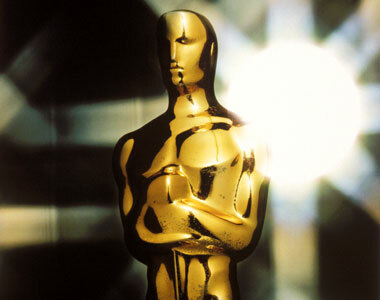 There were 10 best picture nominees for most of the Academy Awards’ first decade. In 1935 there was a bumper crop of 12 nominees. The Oscar nominations will be announced on 2nd February 2010 with the awards handed out 7th March 2010 at the Kodak Theater in Hollywood. When I first heard this news I thought “Great, lots of films in the running.” Then my second thought was “Hold on a minute.” If there are more nominess for best picture then doesn’t that sort of devalue the prestige of having a Best Picture Nominee? It brought to mind that bit from The Incredibles when Dash is talking to his Mum. What if there are not 10 films worthy of a nomination? What do you think of the news? Have we seen any films in the first half of the year that should be nominated for Best Picture – Moon, The Hurt Locker, Let the Right One In? His name is Robert McGinnis and since the early 1960’s he has painted some of film history’s most icon movie posters such as Breakfast at Tiffany’s, Thunderball, You Only Live Twice, Diamonds are Forever and more recently Disney’s The Incredibles. This film covers his movie poster art and other pop art culture illustrations for hard boiled detective paperbacks from the late 50’s to the 70’s. Mcginnis specialized in creating what fans and collectors called “The McGinnis Woman” intelligent, sophisticated, femme fatales with bodies women would die for and men wanted. McGinnis discusses his early years when he worked as an apprentice at the Disney Studios in the 40’s and his early film poster art for classics such as The Odd Couple, Barbarella and countless others. McGinnis also allows the camera to record his entire painting process creating one of his beautiful “McGinnis Women”.